Our work experience in wholesale and retail market of auto spare parts since 1995 proved that a constant improvement allows our clients to trust in us and in all groups of goods stored in our warehouses. The quality control of auto spare parts conducted by European laboratories ensures the quality of our trademarks TIMMEN (chassis, electric system parts), BRP (breaking systems for lightweight and heavyweight transport), BUGUS (filters), GENNOR (axle shaft joints), ROBUSTO (shock-absorbers) and SOLIDO (chassis parts). We are also proud of having spare parts of world famous brands in our assortment – ICER (Spain) breaking system parts, OBTIBELT (Germany) belts, distribution belts and repair sets, INA (Germany) bearings, AL-KO (Spain) shock-absorbers, ERT (Spain) supports, pistons, guides, SALERI (Italy) water pumps, TECNECO (Italy) filters, ISKRA (Slovenia) plugs, RICAMBIFLEX (Italy) cables, RAPRO hoses, NISSENS (Denmark) radiators, RTS (Spain) chassis parts. Our strength is that here you can find radiators and their cores for all car, bus and truck models. Direct purchase of goods guarantees low price. Constant quality control of auto spare parts allows our clients to trust in us. Stable cooperation with clients provides all opportunities to pursue common goals. Seminar trainings allow our employees to provide qualified assistance to clients in choosing the best product. How can we be practical for you? 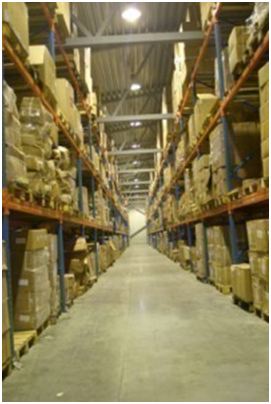 Cutting edge warehousing system.Extremely fast placement of orders. Widest range of auto spare parts. All required auto spare parts, carwash and repair service in one place.The biggest auto-service in Kaunas "Detalita" is located at Garliavos pl. 55, Kaunas District.The auto-service is part of the worldwide network Bosch auto-services that is constantly conducting training of craftsmen.We are proud of our innovative technologies and constant investment into these technologies also allows us to provide warranty service of vehicles. We have the best offers, responsible attitude to each client and extremely strict quality control.